Perhaps the rainy season is already upon us, but all this gloomy weather the past couple days has me in a bit of a black and white mood. The lovely Haikugirl’s post about her recent trip to the Hase-dera, one of my favorite temples in Kamakura, reminded me of this shot I took of the hundreds upon hundreds of Jizo statues there. It’s been ages since our last trip, but looking over the pictures makes me think perhaps it’s time for another visit! This entry was posted in Photos! 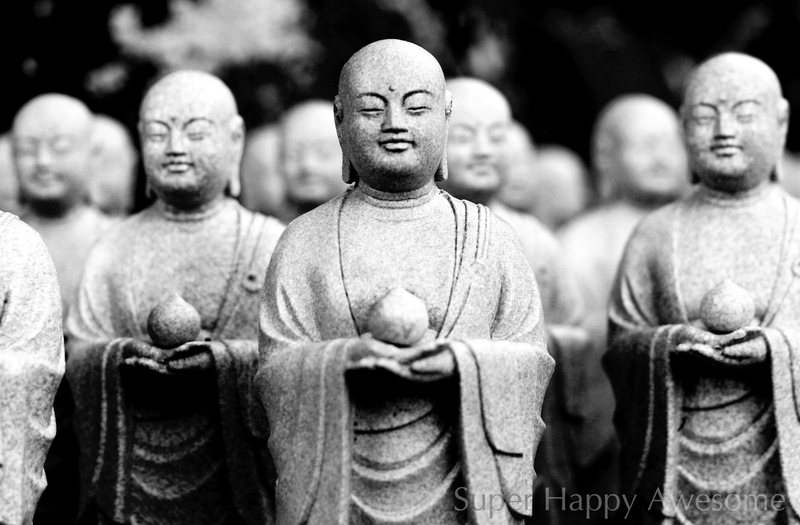 and tagged black and white, bodhisattva, buddha, buddhism, jizo, photography, religion. Bookmark the permalink. If you come down to Kanagawa, be sure to let me know! !